Transition into university can be a difficult time for many students. The thought of studying can be overwhelming for some, particularly when you realise that you are just one small ant among thousands. That is why getting involved in sports teams and university societies is an integral part of the university experience. It is within these clubs and societies where you meet your closest friends, establish what you have in common and create lifelong memories. These are all incredibly important, particularly if you are studying away from home, as it helps beat loneliness and makes you feel as though you are part of something bigger. Printed merchandise, such as personalised hoodies, plays an important part in this. In wearing something that identifies you as part of a collective when you feel anything but, can do wonders for a fresher’s self confidence and esteem. As a university society, if you haven’t already, why not showcase your team bond and invest in personalised promotional materials such as custom hoodies? They will help you support your team, illustrate your common interests and passions and are also a bit of memorabilia you and your society members will actually want to wear. Take a look at our range of personalised hoodies below. As far as student stereotypes go, such as living off Pot Noodles and drinking away their student loans, I think it’s fair to say that students living in hoodies is the only one that has any truth to it! Okay, maybe there’s some truth to all of them, but let’s just forget about those for the time being. There is no better promotional product better suited towards students than custom printed hoodies, a perfect means of advertising a brand or university society, which also appeals to students, what more could you ask for? Students love to feel like they’re part of something, whether it be a sports team, arts society, or a small club based on common interests, personalised hoodies are suitable for any kind of event or organisation, and students wear their custom hoodies with pride. We find that personalised hoodies are mostly worn at competitive events, to show support and solidarity for their team, whilst also being worn around campus and during lectures. 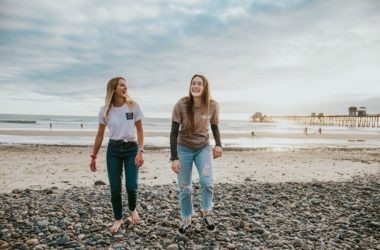 This durable product is also a lifelong investment, as students buy personalised hoodies as memorabilia, in order to reflect on their time at university. So as you can see, there are tonnes of reasons why custom hoodies are the perfect investment for your university society. What are you waiting for? There are also tonnes of ways you can design your personalised hoodie so that it matches your society’s look and design. One way you could really make an impression is with an embroidered design. Many companies and organisations find that this is a really effective technique when wanting to add names or the logo to their garments, and is often the finishing touch to give it that extra personalised look. We also have a huge range of other printing techniques available, through which you can modify your personalised hoodie. Take a look here at how we helped students at the University of Sussex! Here at Garment Printing we believe in promoting positive attitudes towards eco-friendly clothing and that is why we offer printed hoodies from Continental Clothing’s FAIR SHARE collection. 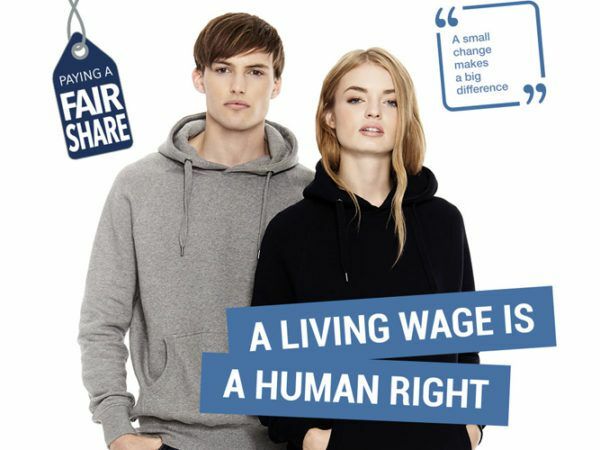 The aim of the FAIR SHARE range is to pay all workers a living wage, and at just £0.10 more per T-Shirt and just £0.54 more per hoodie, you make a wage increase of 50% possible to the poorest workers in factories across India, changing not only their lives but those of their entire families. Although it is a slightly more expensive option, we believe that it is worth the difference when the economic support to hundreds of families across India is taken into account. This would also be the perfect addition for any society whose ethos is based on charity and support work, who are also considering printed promotional merchandise for their society. No to excessive working hours. 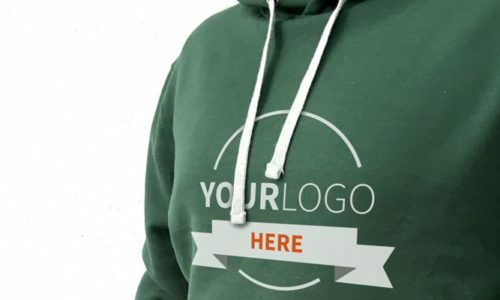 In addition to personalised hoodies, there is also a huge range of other personalised promotional merchandise that we offer here at Garment Printing. 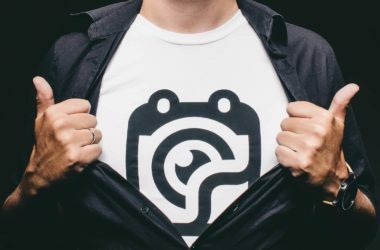 Students and promotional items are two things that definitely go hand in hand, and that’s why it’s important to choose correctly when investing in personalised printed merchandise, particularly if you want to make an impression that lasts and gets students to join your cause. 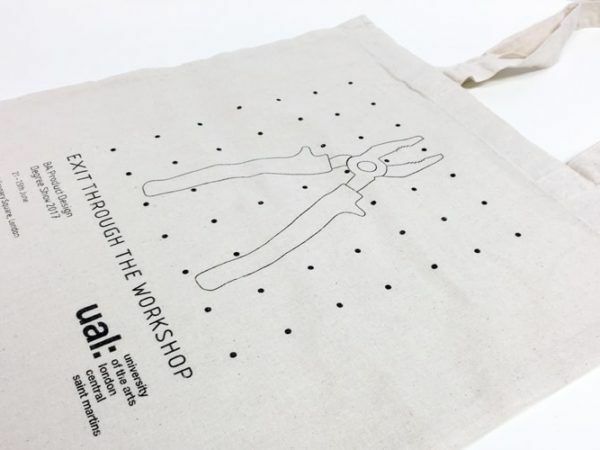 Printed tote bags are a brilliant investment for university societies and are also becoming an increasingly popular fashion accessory for all ages. Students are among those who utilise printed tote bags on a daily basis, therefore they provide the service of advertising a brand, society or message, free of charge. This is due to the fact that students love to feel part of something and love to let others know that they are part of something, so why not invest in some free advertisement in the form of a personalised tote. Printed ceramic mugs and personalised pens are also a brilliant way of promoting your brand. Let’s face it, who doesn’t need a mug or a pen? If you’re hosting a society fair in the future, giving out free mugs will definitely make students remember you as a mug’s lifespan is quite substantial. By including your society’s branding, such as the logo or company name, the recipient is provided with a constant reminder, not just of the person who gave them the printed promotional products, but also the society that it represents. Printed hoodies, among other personalised printed merchandise, could be the first real breakthrough for many students’ university experience and will definitely help them beat solitude and encourage inclusion. Why not facilitate a student’s transition period through the investment of personalised hoodies for your society. For information regarding any of the services mentioned in the above article, get in touch with our sales team by filling out the form below and they will be more than happy to clarify any doubts and get the printing process under way.